If you've ever dreamt of Geese Howard taking on a Mary Poppins act and singing Supercalifragilisticexpialidocious!, you certainly are delirious. What's more delirious though--it's turning into a reality. 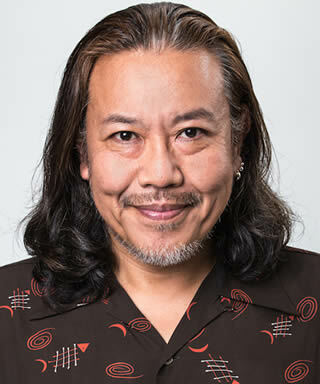 Kong Kuwata, the voice of SNK's famous villain Geese Howard, will be taking it to the stage with Disney in their upcoming theatrical show of Mary Poppins in the land of the rising sun. As Admiral Boom, the man behind Geese Howard will be "teaching the beggars a lesson" by blasting rocket fireworks instead of Reppukens, pending of course that the show runs canon to the 1964 film. At age 56 but weighting 105kg (231lbs), Kong will certainly be noticable even from the cheaper seats. So if you're in town during the period and you want to see some acting (and crazy shouting, no doubt) from the Predictabo man who also did Genjuro in Samurai Shodown, check out the show. Details are available at the official site (JA). Or if you can't, you can still check him out in the announcement video.